Top Feature : Durable Material and Camouflage Color. The product with aluminum alloy metal that’s tough enough to go anywhere and rangefinder color matches most camo patterns. Lightweight, shockproof, weather resistant that will last for a long time. 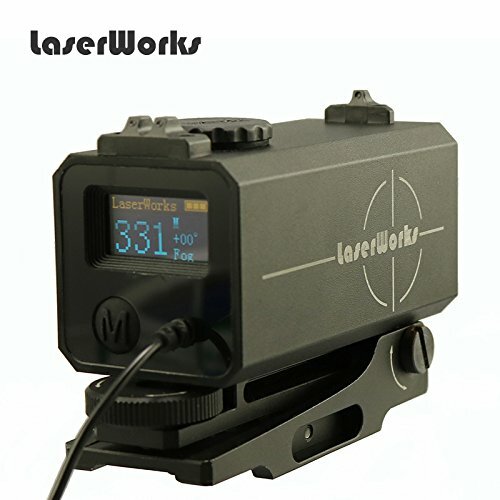 Super Mini rangefinder, all-metal shell, with a mechanical aiming point, using color OLED display. Convenience and riflescope and other products together to achieve fast continuous distance measurement. All metal shell, hard enough. The mate of riflescope, coordinate with the machine aiming point. Easy to mount on rifle scope and other products. Can be continuous distance measurement in foggy weather. Test the speed if the moving objects in the same direction. Units of measurement can be change immediately. The power displayed in groups.